Digilent Inc.’s OpenScope: Open-source PICMZ All-in-One Instrumentation Device is available for immediate shipment worldwide from Digi-Key Electronics, a global electronic components distributor, the companies announced today. The OpenScope MZ is a portable multi-function programmable instrumentation module. What does that mean? It is a device that connects to a computer (through Wi-Fi or a USB cable) that allows the user to acquire, analyze, visualize, and control signals from circuits, sensors, and other electronic devices. 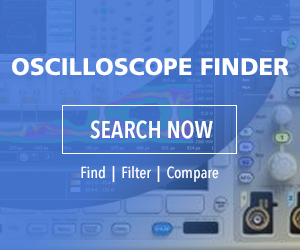 The OpenScope is ideal for applications such as electronics projects, on-the-go troubleshooting, data acquisition, and USB oscilloscopes, among others.